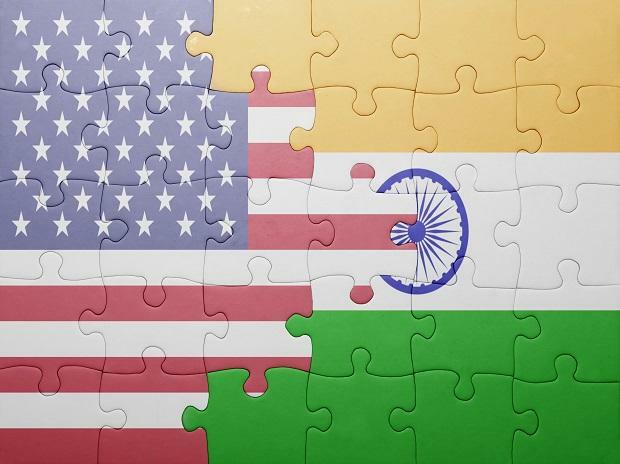 A pledge by India to reduce trade imbalance through greater crude imports, US firms’ concerns on the new e-commerce policy and retaliatory tariffs imposed by both nations will dominate the agenda on February 14, when officials sit down for the India-US Commercial dialogue. Being held after a hiatus of a year, the annual talks will see Commerce and Industry Minister Suresh Prabhu discuss trade policy differences with US Commerce Secretary Wilbur Ross. 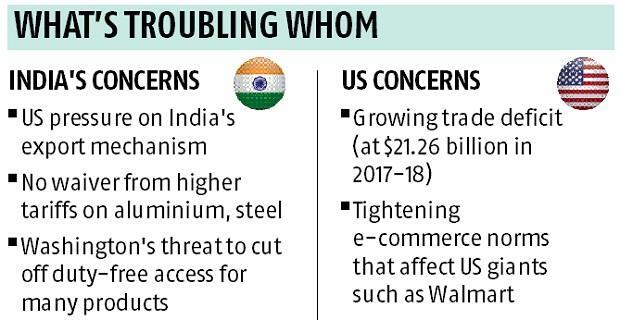 India expects Washington DC to push hard against the tough rules on foreign direct investments in e-commerce that have rattled US giants like Walmart. Last year, both countries had given a wide berth to contentious trade issues in the 2+2 dialogue, instead focus on defence and foreign affairs. The predecessor to the talks, the erstwhile ‘India-US Strategic and Commercial Dialogue’, had started in 2015. However, after two annual rounds, a decision was taken to carve out trade issues into a separate annual discussion — ‘India-US Commercial Dialogue’. In the first edition of trade talks, Prabhu had gone to Washington DC in October 2017. But both the nations coming to repeated blows over trade issues throughout 2018 had stopped talks from materialising. US President Donald Trump’s administration has dragged India to the World Trade Organization multiple times over New Delhi’s export-promotion schemes and restrictions on solar cell imports. India, too, has lodged a case against steel and aluminium tariffs imposed by the US. The latest decision to again defer the already announced tariff duty hikes was taken in an effort to create goodwill and bring the US to the discussion table, a senior commerce department official said. New Delhi has decided to postpone the tariff hikes again till March 2. Sources said a bilateral trade package is being worked on. This will include changes in import duties on US information and communication technology products, and preferential tariffs for Indian exports, apart from data localisation norms. However, the upcoming talks will steer clear of this, as US policy dictates that only the powerful United States Trade Representative's office discuss such matters, an official said. India's relation with its second-largest trade partner has been choppy during the Donald Trump presidency. While exports to stateside have grown — $47.87 billion worth of Indian shipments reached US ports in 2017-18, up from the $ 42.21 billion a year before —America’s irritation with a wider trade deficit has also grown. New Delhi is also hoping that the talks will help break the deadlock over the US case against India on misuse of export promotion schemes in contravention of World Trade Organization rules. The US has alleged an estimated $7 billion worth of benefits were transferred to exporters through six major promotion schemes, like the Merchandise Exports from India Scheme and the Export Promotion Capital Goods Scheme. The scheme provides support to thousands of entities through ‘scrips’ that can be used to pay basic Customs duties. While New Delhi has argued the law invoked by the US — the Agreement on Subsidies and Countervailing Measures — allows India a window of eight years to phase out these subsidies, it has remained jittery because the schemes effectively support exports in crucial labour-intensive sectors. A CEOs forum is also set to be held simultaneously led by American Tower Corp Chairman & Chief Executive James D Taiclet and Tata Sons Chairman N Chandrasekaran.